Prices of meat are soaring on the peninsula, but my local supermarket may have found a rather exotic solution. 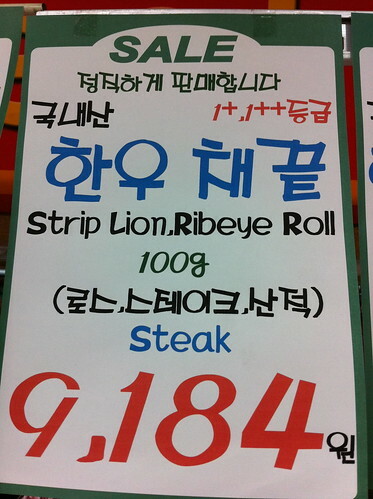 Strip lion anyone? Oh yeah! In a garlic and red wine sauce with fried tomato, egg n' chips. Nom nom nom nom.